With Vice Mayor Jen Ahearn-Koch in the minority, the Sarasota City Commission voted 4-1 on Oct. 1 to approve an interim agreement with the Sarasota Bayfront Planning Organization (SBPO) to allow the nonprofit to raise funds and proceed with the design of the first phase in transforming 53 city-owned waterfront acres into a public park called The Bay. City Manager Tom Barwin pointed out that that outreach took place over 18 months and encompassed about 50,000 contacts. Nonetheless, Ahearn-Koch said, “I believe that the community has come together” in calling for a look at “potentially repurposing this building without holding up the entire project.” She added that she had received hundreds of emails from members of the public to that effect. Cathy Layton, a member of the SBPO, stressed the importance of the land beneath the building, which was the original home of the Selby Public Library. That property is a key element, she said, in the funding structure for a 501(c)(3) conservancy, which the SBPO and the commissioners agreed on Sept. 6 would be established as a nonprofit to manage the park and raise funds for the amenities. “There’s no city money coming in to fund the conservancy,” Layton pointed out. Referring to materials the SBPO and Sasaki provided to the commissioners in advance of the Sept. 6 special meeting, Layton added that if any use could be found for the G.WIZ building, it would have to supplement the income the master planning process had factored in from use of the space where the structure stands. 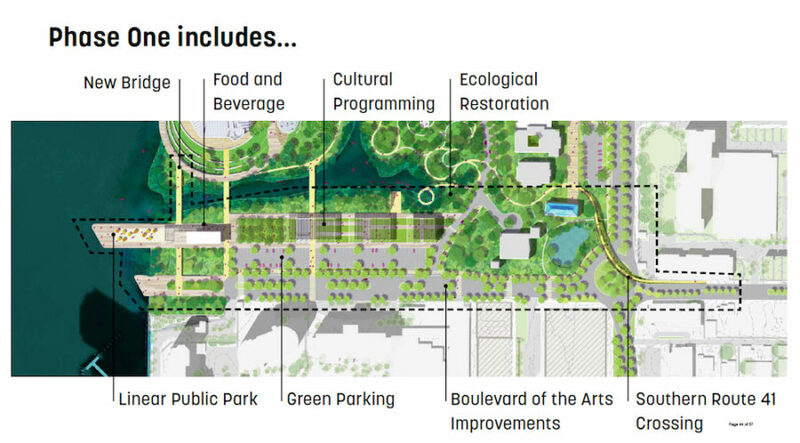 The cost of constructing Phase I is estimated between $15 million and $25 million, with completion possible in seven years, the master plan adds. 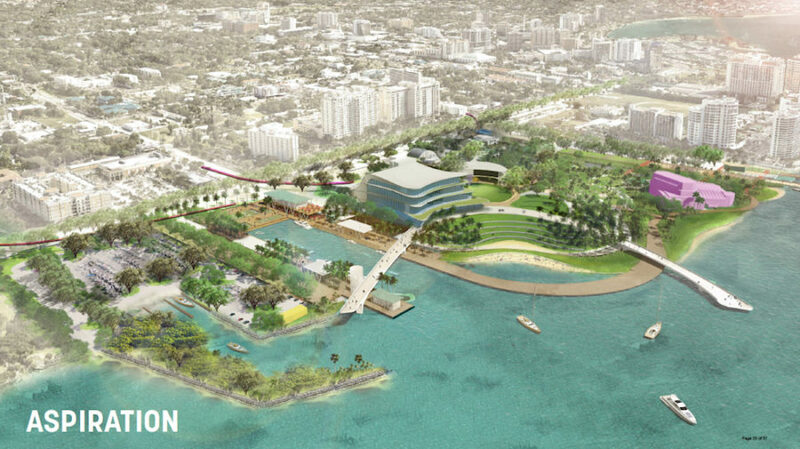 Overall, construction of The Bay — including a new performing arts hall, a recreational bridge and two other pedestrian walkways over U.S. 41 — has been put at several hundred million dollars. SBPO representatives were reluctant on Sept. 6 to put a firm price tag on all the work, given the fact that “it will probably require 10-20 years for the entire project’s completion,” as the master plan notes. 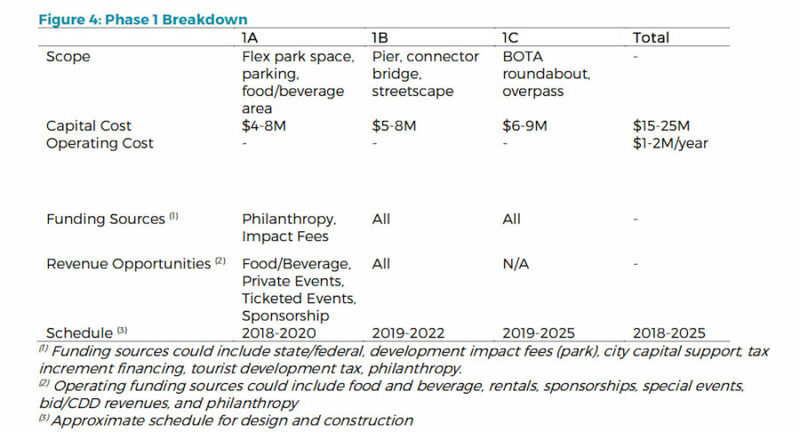 For Phase I, a table included in the master plan estimates food and beverage service revenues would be a minimum of $165,000 per year, up to $365,000. “Event Rentals” had a range of $65,000 to $175,000, with “Event Sponsorship” at a range of $150,000 to $400,000. The document the commission approved on the 4-1 vote on Oct. 1 calls for the nonprofit Bay Conservancy to be in place within 100 days of Sept. 6, no later than March 31, 2019. City Manager Barwin pointed out that the SBPO had agreed to those changes in the document. Of the four people who addressed the commission prior to its Oct. 1 vote, three implored the board to save the former G.WIZ building. Muldowney added that she thought the design of the master plan for The Bay “may have been colored a little bit” by an intent to demolish the structure. After City Manager Barwin sent a letter to G.WIZ in August 2013, indicating it was in default of its lease with the city, representatives of the science museum announced that they would be closing the facility for good. The city’s Historic Preservation Board has voted three times to call for the historical designation of the structure, Abbott further noted. Finally, Ben Nathan, who said he works in real estate in the city, told the commissioners that buildings such as the former G.WIZ museum are part of the city’s history and heritage. He added that he felt The Bay master plan could give the structure new life. Sarasota attorney Jennifer Compton, treasurer of the SBPO, told the board, “I think roughly 75% of Bill Waddill’s past 90 days have been spent solely on G.WIZ.” She was referring to the managing director of the SBPO, who was out of town and therefore unable to appear at the Oct. 1 meeting, City Manager Barwin explained. The site plan as drawn, looks amazing. There are a few questions to be considered. Who owns the land, the water front and bay bottom? 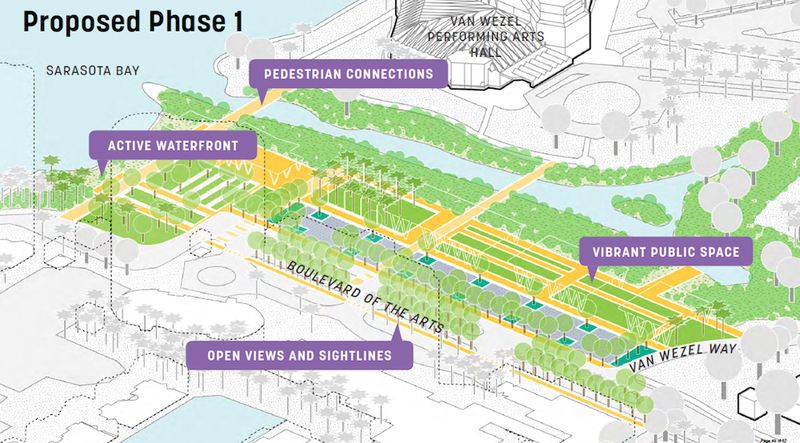 Also, if there’s docks, bridges, and changes to the water front, doesn’t this require permits from County and State DEP? There’s significant impact to our Sarasota Bay Estuary not being considered. 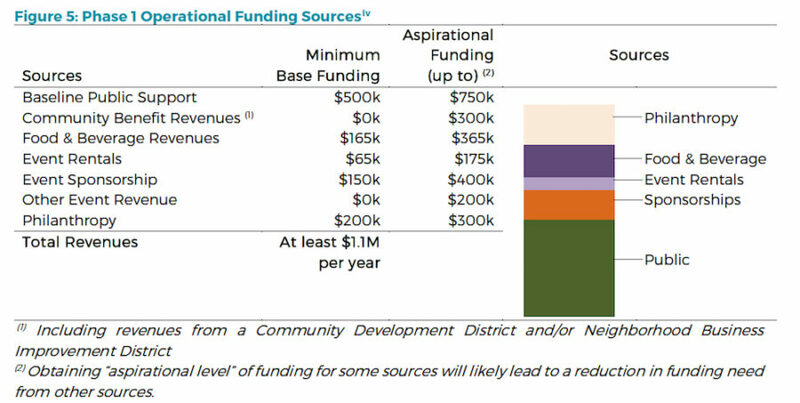 The need for this is based on increasing revenue stream ftom a Performing Arts center. Does this income add to the TDT? Will the City start paying the County for Emergency Fire Services? Most are unaware the County covers municipal settings without compensation from tax base. Municipal structures do not pay property tax. 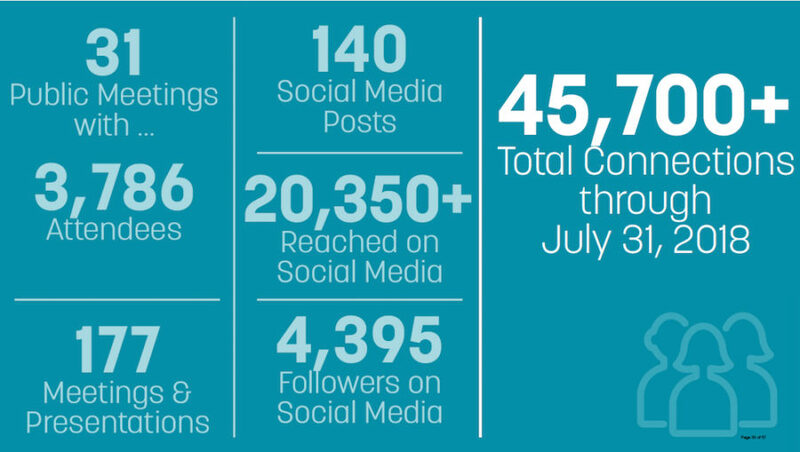 Commercial activity will increase ..and so does risk .